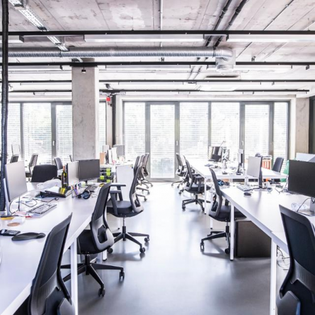 When your San Francisco-based startup has gotten off the ground and you’re ready to expand your office space, you will soon have to face the fact that you’re searching for an office in one of the tightest real estate markets in the United States. The limited supply and high expense of the San Francisco real estate market make getting the space you need especially challenging. In my experience, co-working spaces can be a helpful solution for companies just getting started. However, you will likely find that as you grow, these spaces can become expensive as well. So what do you do if you’re at, what I like to call, the “in-between size,” (i.e., between the “seed” and “series A” startup zones) and need between 2,000 and 5,000 square feet of office space to make your own? I quickly learned that you don’t have to look for real estate alone. When it comes to navigating the limited space and the complexities of negotiating and planning, it’s OK to consult an expert to help guide you through the process. Seek someone who sees their role as more than simply showing you listings. Look for a partner who will counsel you during stressful moments, encourage you throughout each phase and celebrate with you when it all works out. Jump on a space that works. Another lesson I learned was to commit to a space that works. Throughout my search for office space, I saw quite a few vacancies that my team and I liked, but we were waiting for the seemingly “perfect” space. When it didn’t come on the market, we went back to spaces we had liked previously — but were apprehensive to commit to — and they were all gone. Never force a location to work for you, but be proactive in your search. And when you do find a space that meets the needs of your growing company, don’t be afraid to commit. Remember, it’s going to be expensive. The second lesson I learned was to be prepared for sticker shock. Our first office was above a jewelry store outside of the city’s business district, and we were paying $450 per month. Our second office was around the corner, and we were paying $1,650 per month. Those rents skewed my perception of cost in the market. No matter how long you look, you’re probably not going to find adequate office space for the price of a studio apartment. As the San Francisco Chronicle pointed out, Class A rent growth has skyrocketed over the past few years, and the average cost per square foot of office space in the area is roughly $81.25. In 2017, my company was comprised of four people, and in late 2018, my team grew to 18. As the team expanded, I needed a space that accommodated growth, which also meant I needed to accept that the cost of our office space was going to increase. • Save your money for the necessities — not the trendiest office chair. • Consider purchasing lightly used office furniture and tech equipment, rather than buying it brand new. Be prepared for a long process. • Coordinate with the building’s property manager as soon as possible to ensure you understand building vendor insurance requirements, along with any special move-in instructions. • Try to get your certificate of insurance prior to occupying the space. In my experience, these requirements are typically outlined in the lease, so as soon as the lease is received for review, get a jump on this. • Connect with the building’s riser management company, and coordinate with your internet service provider to make sure your information technology specifications are live and in place prior to occupancy. • Coordinate movers well in advance so they aren’t booked when it’s time for you to move. There are a number of unknowns you face as you start (and run) a business. Getting office space shouldn’t be one of them. Hopefully, these tips will help you with your search in San Francisco. Just remember, while the process is challenging, there is no better feeling than having your own space to call home and building your company in it.